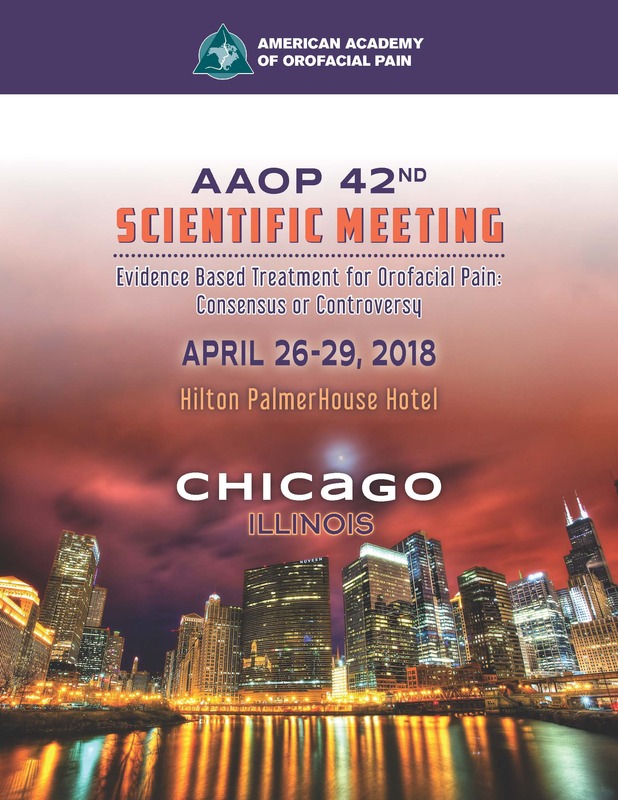 Advance Registration for AAOP 2018 is now closed. You may register onsite at the Palmer House beginning on Wednesday, April 25, 2018 at 1:00 PM CDT. The American Academy of Orofacial Pain is designated as an Approved PACE Program Provider by the Academy of General Dentistry. The formal continuing dental education programs of this program provider are accepted by AGD for Fellowship/Mastership and membership maintenance credit. Approval does not imply acceptance by a state or provincial board of dentistry, or AGD endorsement. The current term of approval extends from1/1/2015 – 12/31/2018.